When designing the 130,000 square foot promenade walkway along Biscayne Bay in downtown Miami, Larry Miller wanted to recognize the cultural importance of the site while providing a low-maintenance, yet colorful pallet that also reduced the heat-island effect. 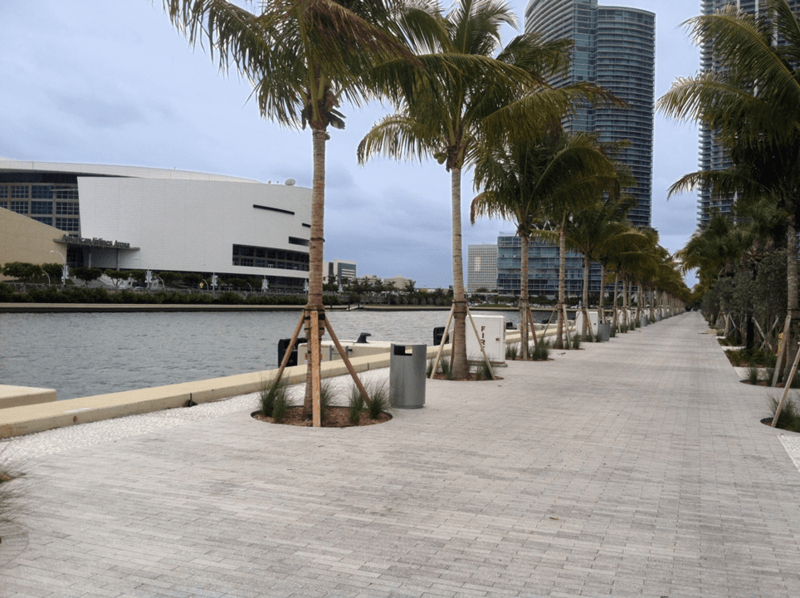 Belgard’s solution was to imbed natural stone, shell, and white marble aggregates into the mix when manufacturing the Moduline pavers that would create this plaza for Bayfront Park and the newly renovated Pérez Art Museum. 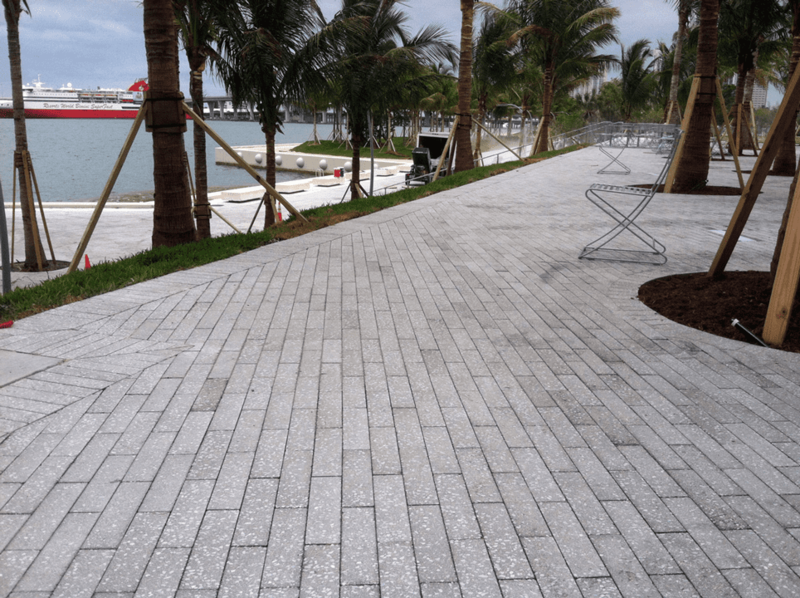 The face of the pavers were ground on a state-of-the-art grinding machine to expose the aggregate and create a look in keeping with the classic Florida style.